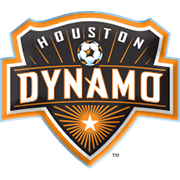 Houston Dynamo will be aiming to make amends for back-to-back defeats to the likes of New York Red Bulls and Dallas when they host Portland Timbers at their BBVA Compass Stadium on Sunday. Houston are on a ten-game winless run in the Major League Soccer and, as a result, they have slim chances of booking their place in the play-offs. 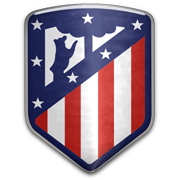 However, Sunday’s football match against Portland could be the turning point for the hosts, therefore, we predict that they are going to leave their hearts on the field this time out. 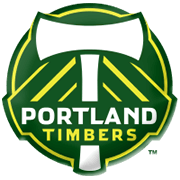 The Timbers, on the other hand, aim to retain their place in top six in the Western Conference and seeing that they have been in a fine form of late, we believe that there is a big value in betting on the visitors. In their last meeting in MLS Portland recorded a 2-1 win over Houston. Romell Quioto is a pacey winger who plays for both Houston Dynamo and the Honduras national football team. Quioto was born in Balfate (Honduras) on August 9, 1991 and he played for Union Ajax during his youth career. The Honduras striker started his senior career at Vida and it has to be noted that he scored 20 goals in 77 appearances in the league for the club. In 2012 he was sent on loan to Polish club Wisla Krakow, but he played no more than nine games for The White Star in Ekstraklasa. Romell Quioto then took a step forward in his career as he signed a contract with famous Honduras club Olimpia. After scoring 38 goals in 96 league fixtures for the capital club the 180-cm-tall attacker decided to taste MLS football. Quioto moved to Houston Dynamo in December, 2016 and he has been playing for the Major League Soccer club ever since. Speaking of his international debut, Romell Quioto received his first call-up for Honduras on February 29, 2012 for a friendly game against Ecuador.